Select table attributes as per requirement then click on “Next” button to proceed. 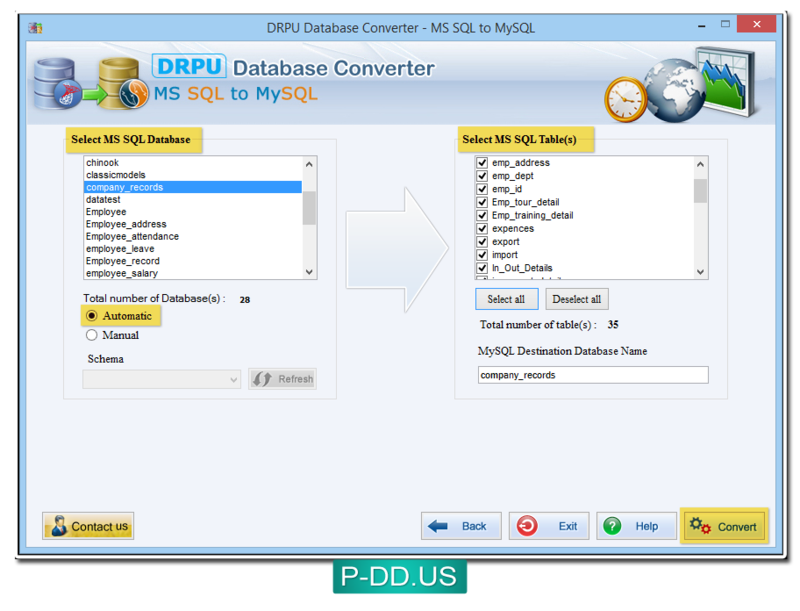 Select MS SQL Database and choose entire or required MS SQL Table(s). 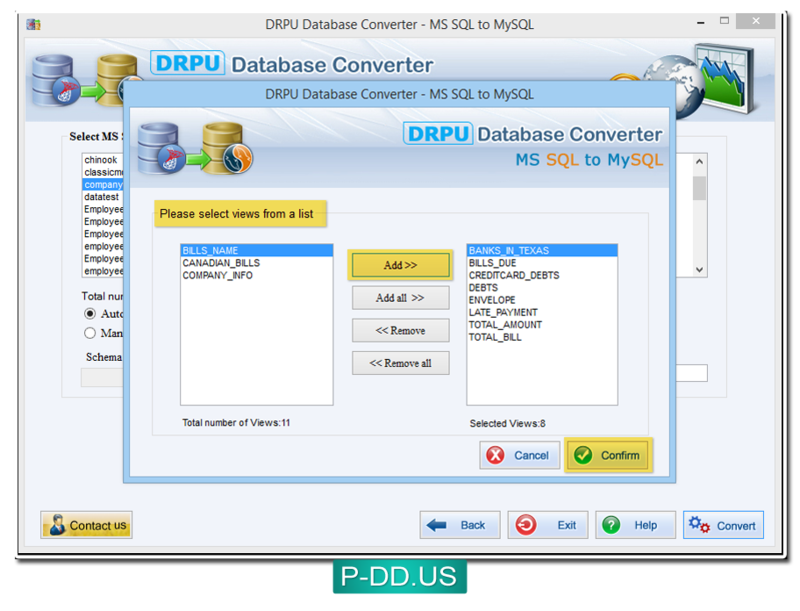 Now enable “Manual” mode to select schema items manually and press “Convert” button to start database conversion process. 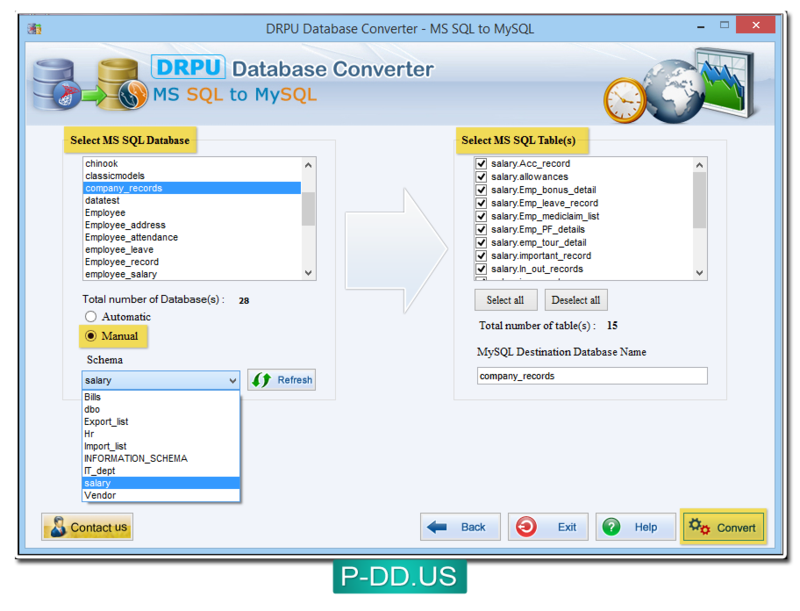 If you want to select schema items automatically, then enable “Automatic” mode, now Select MS SQL database and MS SQL table(s) then click the “Convert” button. Select views from left side list and add to right side list box using “Add” button then click “Confirm” button to continue. 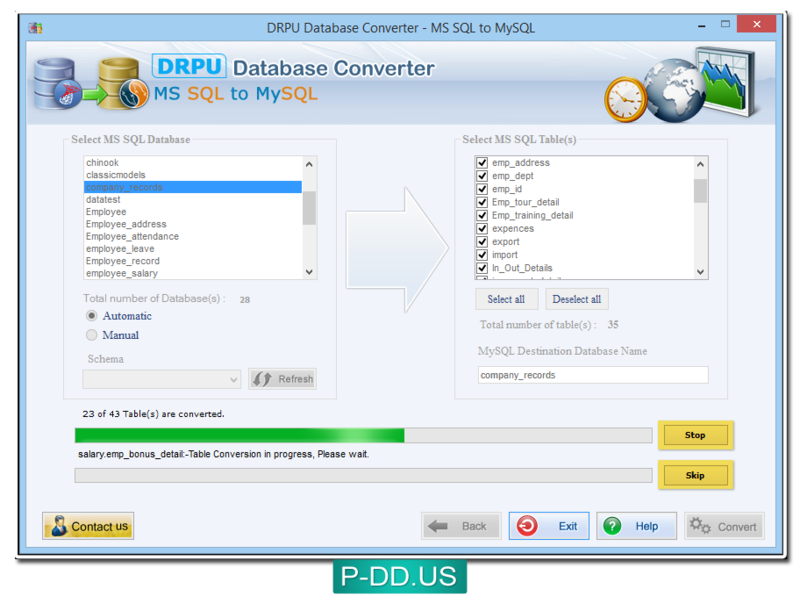 Database conversion process is in running mode. 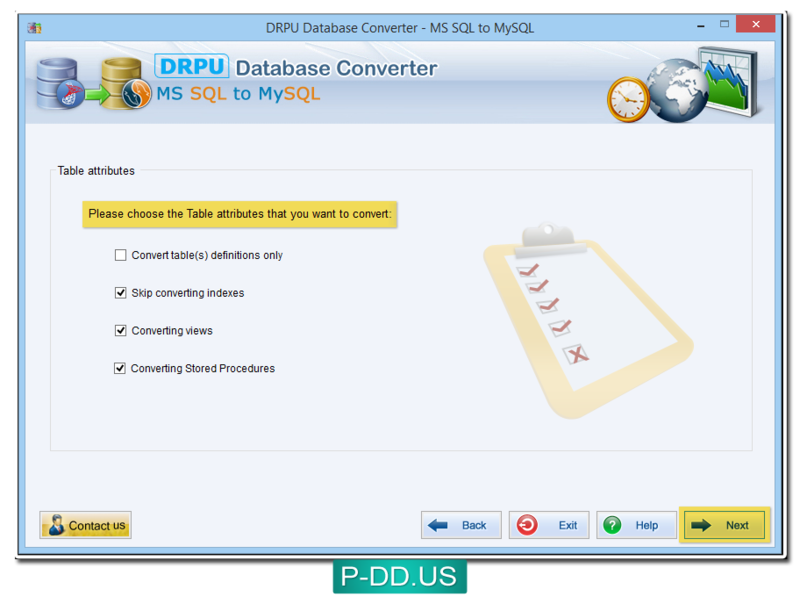 You can abort ongoing process using “Stop” button and skip any particular table using “Skip” button. 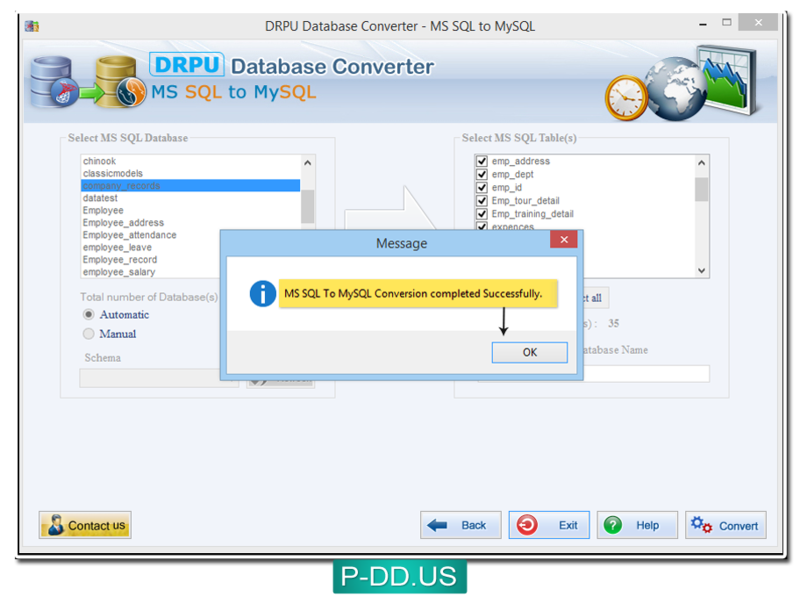 Conversion completed successfully message displays.